Healthy Morsels - Baby and Toddler Foods Roundup ! We, Healthy Morsels Team is really happy to get connected with you all through this roundup after a long gap. Our sincere apologies for the delay in the roundup, due to unavoidable circumstances we postponed this roundup for a few weeks. We are now here to thank everyone who have been with us all through this journey. Our Healthy Morsels began with the most exciting part of every woman’s life, pregnancy and then continued as one of the important responsibilities of women, feeding the baby. No matter whether she has one kid or five kids, every mum cares and takes responsibility for every single food which a baby takes. As we all know, the first food and the food which is given in the early years for a baby or toddler plays an important role in the health of the baby. Our wonderful food bloggers and experienced mums have shared some of their fantastic recipes and useful tips with us. Please don’t forget to go through all the recipes which we received for the event. We hope that these recipes will be a treat to your baby and toddler and it’ll also make life easier for all new mums.To view all the entries for Healthy Morsels- Baby and Toddler food click here. We would like thank again to each and everyone who supported us through this event and making it a grand success. We sincerely hope that we would receive the same support and enthusiastic participation in our future events too. Every single contribution lies behind the success of this event. 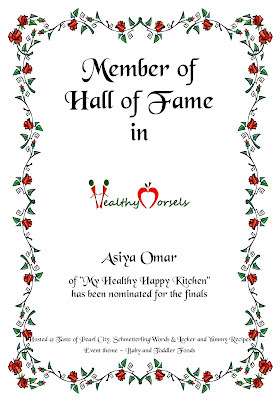 As a token of appreciation and to express our gratitude we would like give this badge to all the participants of Healthy Morsels - Baby and Toddler Foods. Please accept our heartfelt thanks by collecting this badge. 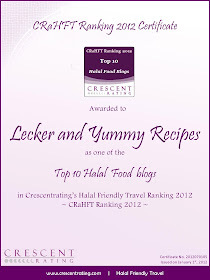 We would also like to thank our non blogger friends, who were kind enough to share their recipes with us. 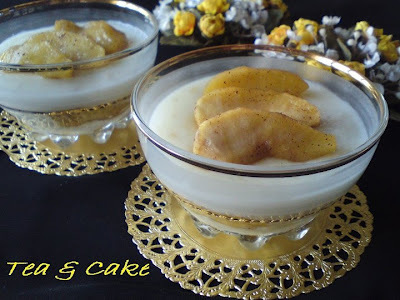 Keshkul (KEŞKÜL) is a Turkish dessert made of milk ,rise flour , corn starch and almonds these are the main ingredients, some Turkish people add one egg yolk others don’t but this recipe has more rich flavor because off apple and cinnamon I think this recipe is suitable for Baby and Toddler . 1-Peel the apples, Put in a pan , add sugar put the lid on and cook apples with its own water on a low heat when it is semi cooked add cinnamon continue cooking with the lid off until tender put aside to cool . 2 -Put the milk in a dip saucepan , Add powdered sugar , rice flour and corn starch and cook until the consistency is thick ,add ground almonds, stir well . 3 –put half of the cooked apples in 4 serving pots pour the pudding let to cool completely ,decorate with the rest of apples . Thank you Souha for coming up with this delicious recipe! Please check out some useful tips from a mom who took time and effort to document her still fresh experience with her darling daughter even after 12 yrs ! A special thanks to you Fathima for contributing to this event. We are sure your daughter would love to read this to her little ones in the future :) "
A special thanks to Jemini for her contributions by sending many recipes like Mung Bean Porridge, Sweet Ragi Kazhi, etc. Also, check out some of her tips Feeding your baby." Now , the most awaited moment to see the nominees for Healthy Morsels- Baby and Toddler Food. It was really a tough job to select only 3 out of 80 beautiful entries. * the number of entries contributed. Our three nominees are Swasthi, The Health Freak has really wowed us with her eye catchy recipes, her recipes like Carom Flavoured Potato Rice will definitely glue your kids to their seat. 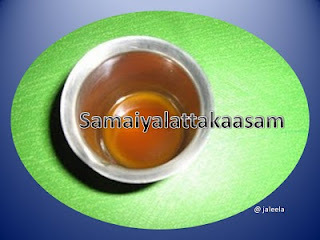 Jaleela Kamal shared with us many yummy recipes like Ginger Syrup for Cold, some useful tips too, which would be definitely handy for all mums. 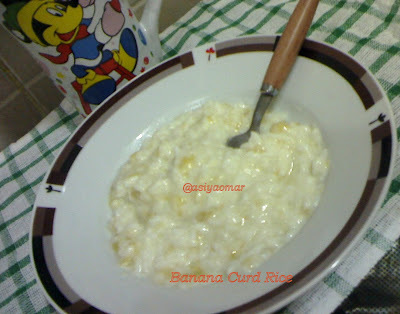 Finally Asiya Omar, who came up with wholesome and healthy ideas like Banana Curd Rice. Congratulations ladies and thank you for sharing your recipes and tips with us. Once again on behalf of our Healthy Morsels Team, we would like to thank each and everyone for making this event a successful one and we would love to have your support all through this journey. Healthy Morsels is taking a break in Ramadhan, we'll continue the journey after Eid with a new theme. Traditionally, Germans have two cold meals and one hot meal ! Coming from India, it took me sometime to digest this surprising fact because backhome, we rarely have cold meals. Breads being the staple food here find its place in the breakfast table and eventually at the dinner time. So, a normal household has atleast four types of cheese with salad vegetables and jams and atleast two types of breads, one for the breakfast and the other called "Abendbrot" (Evening bread) for dinner. This illustrates the importance of bread in German cuisine. 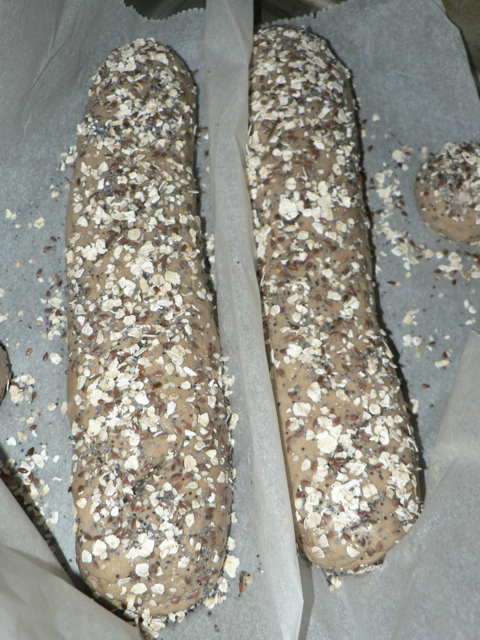 Abendbrot is baked with wholemeal or rye flour, mixed in different proportions. Germans use almost all available types of grains like wheat, rye, barley, oats, corn, rice, or even potato flour for their breads. You can imagine how many types of breads one could possibly find here depending upon their different proportions and types. 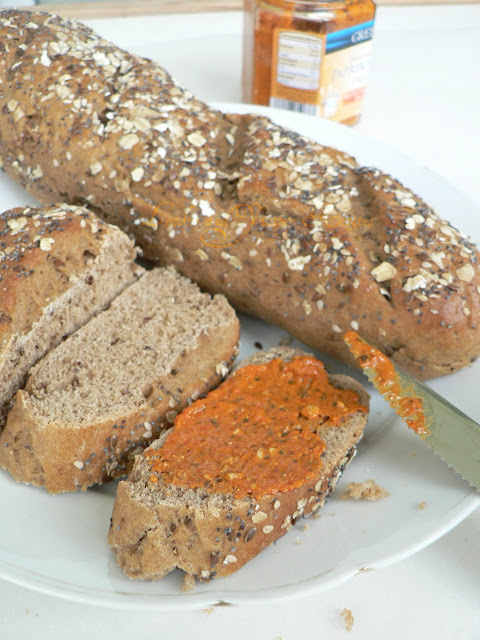 Most types of breads contain wheat and rye flour (hence called Mischbrot - mixed bread). Combining with other grains gives them their color ranging from dark brown to pale brown. Rye bread is dark in color and is more heavy, dense than the white breads and a slightly a sour taste, making it perfect bread for the evening meal sandwiches ! 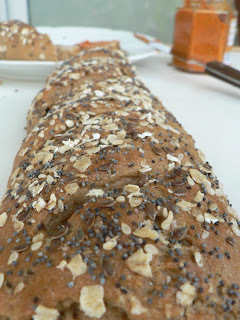 Sunflower seed (Sonnenblumenkernbrot) - my favourite ! 1. Dissolve the yeast in 1/4 cup lukewarm water and sugar. Set aside for 10 minutes for activating it. 2. In a separate bowl, combine all the ingredients and then the yeast and knead the flours into a soft dough. 3. Cover the bowl and allow it to raise for an hour in a warm place. 4. Divide the dough into two parts and make them into log shapes. 5. 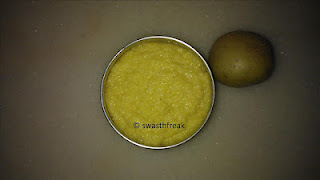 Apply the egg wash (egg beaten with 1 tsp of water). 7. Preheat the oven to 180°C and bake the bread for about 35-45 minutes. Keep checking for the browning and a screwer should come out clean when inserted ! 8. Serve fresh with a simple butter spread or any dip you prefer.